You see, I’ve been feeling the urge to scrapbook again – to capture my family’s memories as I’m counting the days (and minutes) as they tick by and I know that my girls will soon be off on their own pursuits and not as interested in spending time with their mom and dad. I want to capture the days we’ve got together – what life is like, not just the special events – and record them for posterity. But I have been overwhelmed at the thought of choosing pictures, printing them out, laying out paper and embellishments. And doing the same thing digitally seemed overwhelming, too. 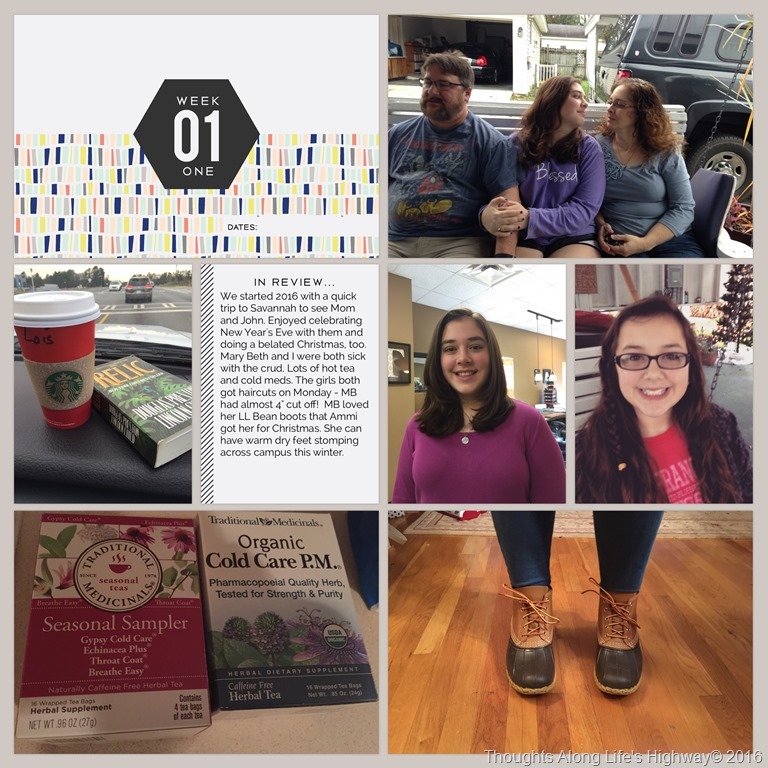 I think it is because it’s been SO LONG since I’ve done any scrapbooking and the thought of the backlog of pictures seems overwhelming. But, to overcome that I’ve decided to take Becky’s approach. I’m starting with CURRENT pictures and focusing on those only. Literally the last week’s worth of pictures. Each night I’ll glance at my phone and pick a picture or two from the day if I have any. Then, on Sunday night, I’ll add those all to a page – one page, that’s do-able, right? 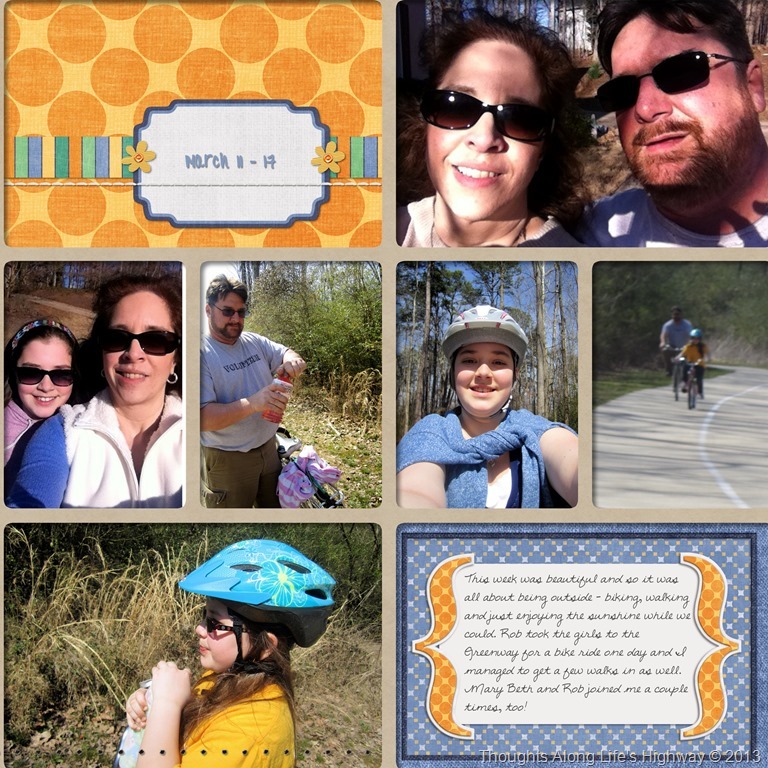 – and add some quick journaling about the week and the weekly card from the Project Life – Project 52 card set. 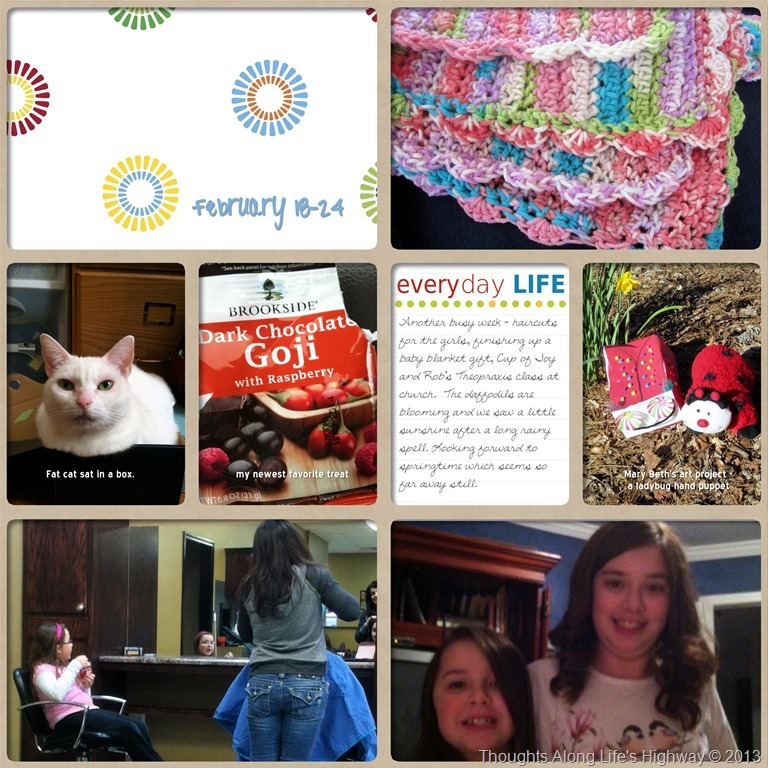 I’m doing it all on the Project Life app on my phone. So we will see how this goes. But quite honestly, this seems so EASY. I’m not sure how I could NOT do it. And even if I missed a week it wouldn’t be that bad to catch up. 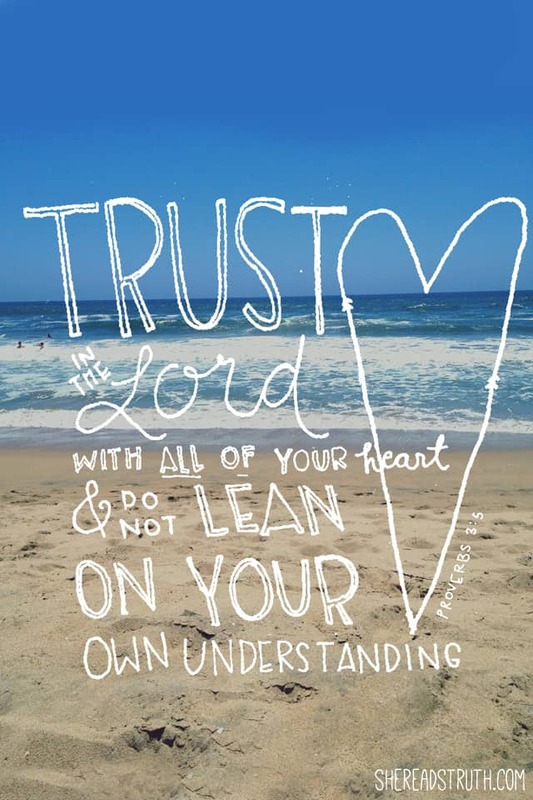 Hope your week is treating you well – so far so good for us here. 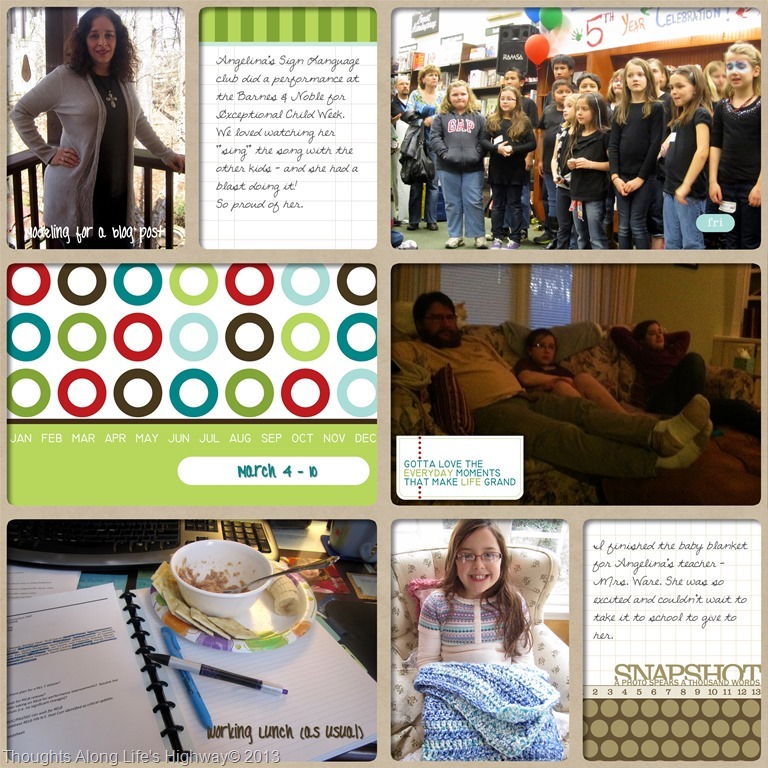 This year, I’m doing my Project Life album digitally. I’m using Creative Memories’ Storybook Creator software and Becky Higgins’ Turquoise Edition (for the most part) I’ve also purchased these nifty little overlays that allow my pages to look like true pocket pages (I’m loving them). I’m planning to print my pages as a book – hopefully, it will all fit in one volume and take up less space on the shelf than the 2009, 2010, 2011 & 2012 versions which are 2 volumes (2 3” binders) each! 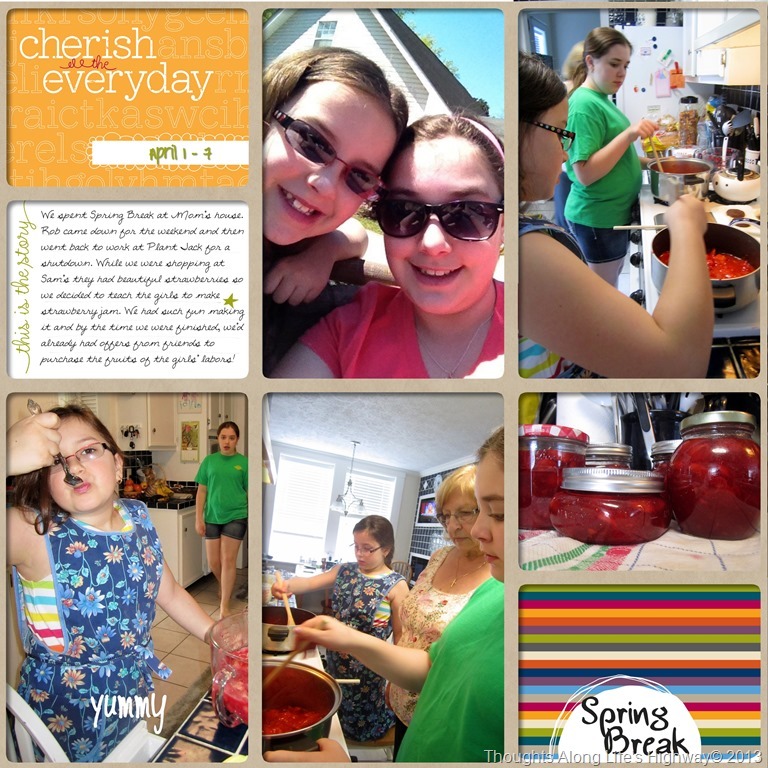 We spent Spring Break at Mom’s house. SuperMan came down for the weekend and then went back to work at Plant Jack for a shutdown. While we were shopping at Sam’s they had beautiful strawberries so we decided to teach the girls to make strawberry jam. We had such fun making it and by the time we were finished, we’d already had offers from friends to purchase the fruits of the girls’ labors! A fun week and weekend ~ On Saturday SuperMan, Big Girl and I went to River Street for a few hours. We ate lunch at Spanky’s and walked along the river like tourists. On Sunday, the girls hunted for the eggs they’d dyed the day before ~ bittersweet as this might be the last Easer Egg Hunt they decide to do (they’re growing up!) The silly pictures I found on my phone after we got home ~ that’s what I get for letting them “play” on my phone while we are waiting in the restaurants. Later in the week, Big Girl and I got pedicures ~ her first since her surgery. 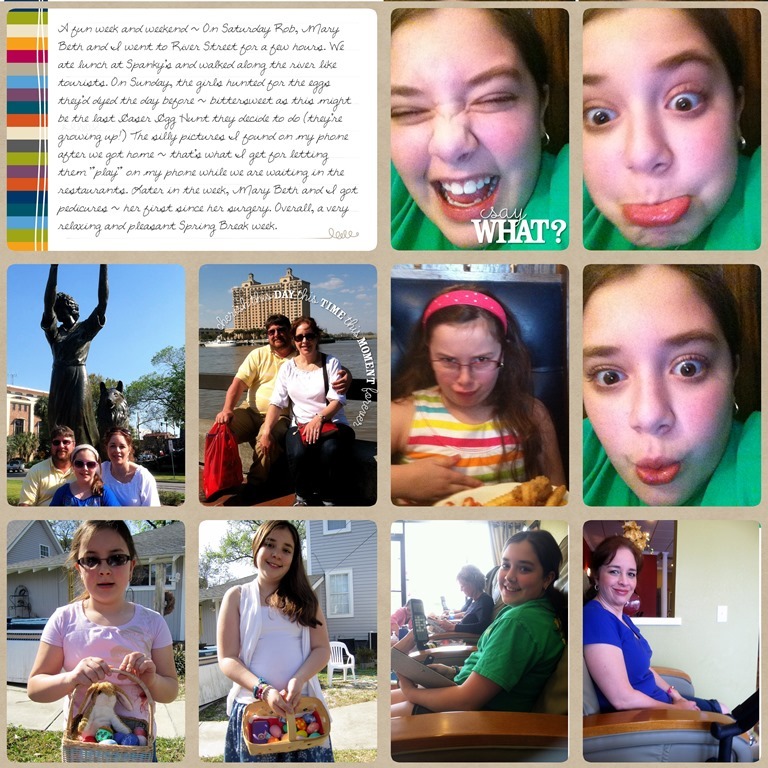 Overall, a very relaxing and pleasant Spring Break week. More pages coming soon – I’m on a roll!! Spring is springing and one of the ways we can tell is that, for the first time ever, the farmer has transformed the hay bales into bunny rabbits! We are so excited. * One of our new traditions is homemade pizzas on Friday nights * My latest snack obsession are these “protein bites” that are made from oatmeal, honey, peanut butter and coconut. They are SO good. * My latest crochet project is this beautiful afghan I’m hoping to make for the living room. Taking advantage of his time off of work, Rob decided to paint for me. He spent the better part of the week painting the foyer, kitchen, stairs and landing. My SuperMan! Very interesting fortune cookie at dinner and even funnier text with my boss the next day ~ hee hee! 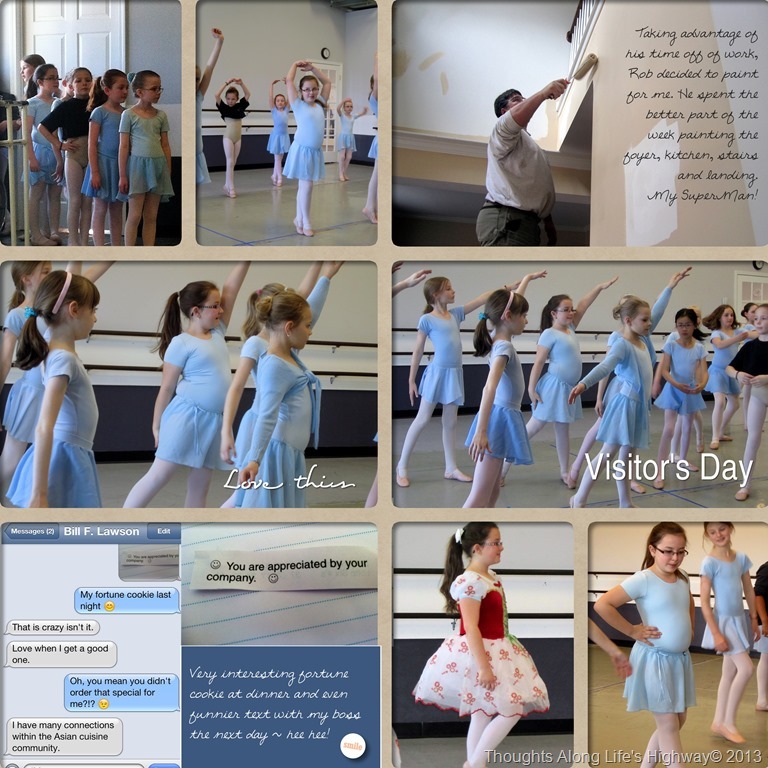 Love my little one’s Visitor’s Day at dance – one of the highlights of the year. I love to see how much progress she’s made since the beginning of the year – and then again between Visitor’s Day and recital day two months later. How are your Project Life pages coming along? I had hoped to get more pages done over the past weekend because of International Scrapbook Day, but I was sick over the weekend and really didn’t feel like doing much more than just sitting still. Sigh. But I DID get some pages done – continuing to work my way through 2013 and hopefully get caught up soon. The journal cards are from Juli Fish: You Make Me Happy ~ I can’t find the download link anymore. The other bits and bobs were from another kit that came from The Daily Digi as part of the monthly kit. I love it. Happy, happy stuff. 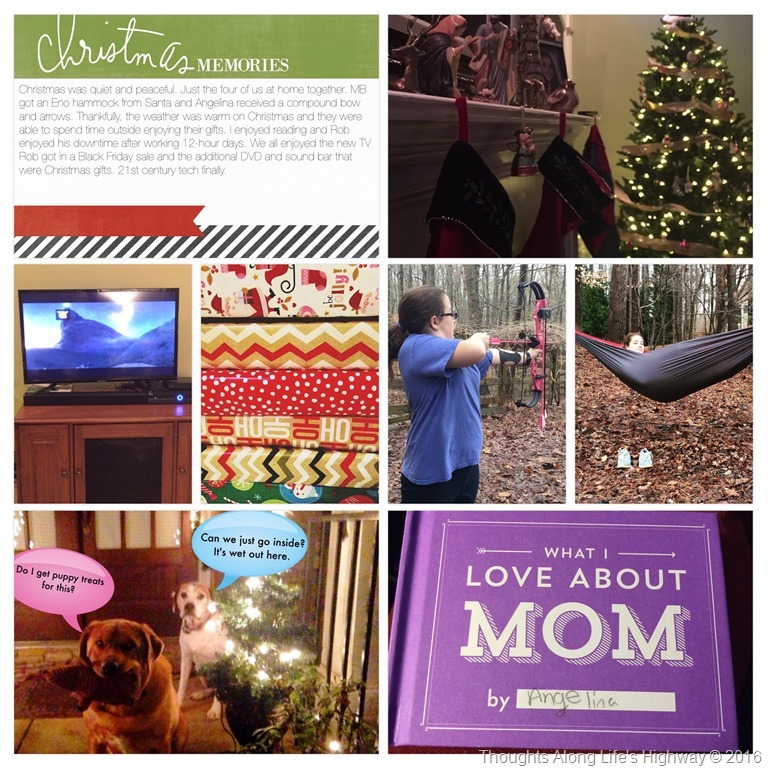 I like the pages – I think they capture the fun of that week. And I love that everyone in the family is in the pictures. 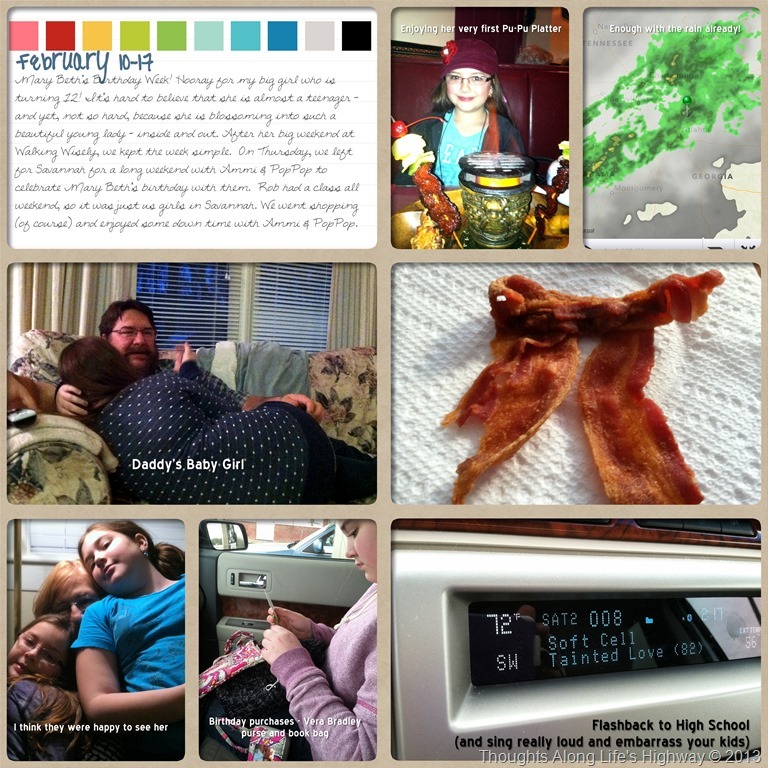 This year, I’m doing my Project Life album digitally. 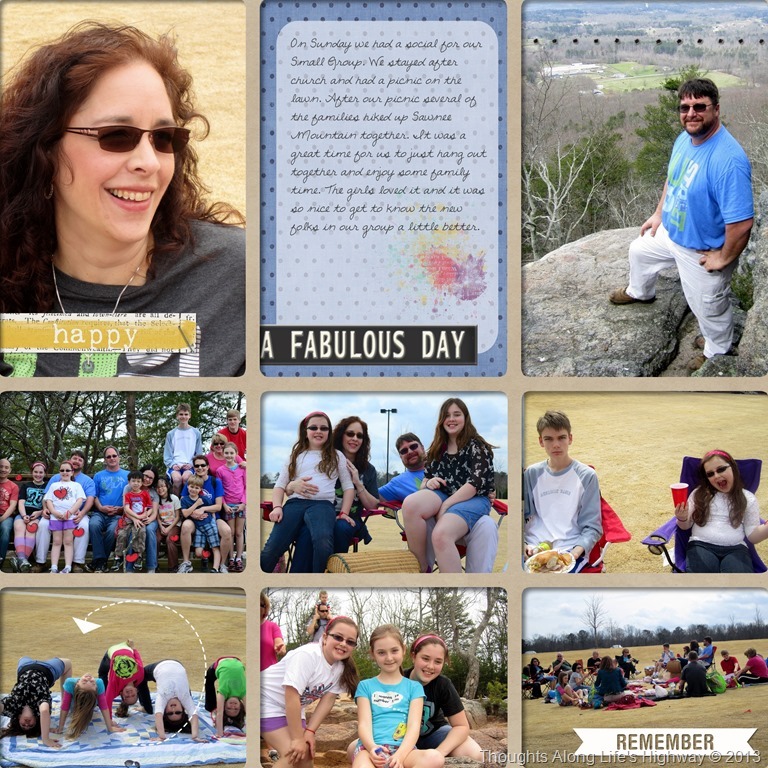 I’m using Creative Memories’ Storybook Creator software and Becky Higgins’ Turquoise Edition (for the most part) I’ve also purchased these nifty little overlays that allow my pages to look like true pocket pages (I’m loving them). I’m planning to print my pages as a book – hopefully, it will all fit in one volume and take up less space on the shelf than the 2009, 2010, 2011 & 2012 versions which are 2 volumes (2 3” binders) each! Making progress here – I’m into March with these pages. The good news is that I’m catching up but that is partly because (the bad news) I don’t have a lot of pictures from Feb/March. I think it is because it was so cold and rainy during that time. 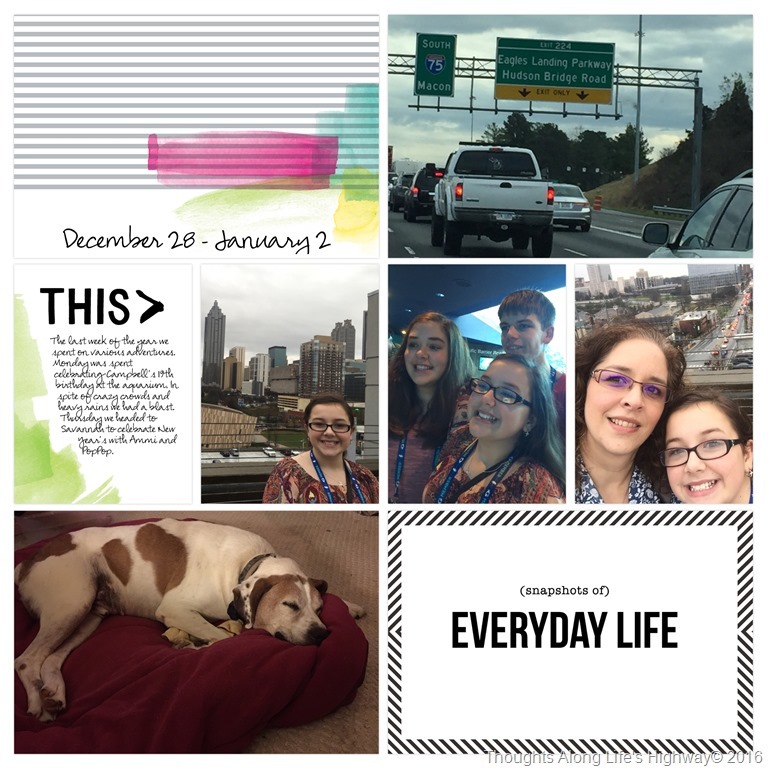 I just didn’t have the drive to take a lot of photos – and we weren’t doing much other than school and work! Embellishments from the page above are from Creative Memories’ Cheerful Winter Digital kit. Love how the blues and greens tied in with the colors on the pictures. I decided to use the blurry cell phone picture of the girls because it was so cute – them cuddled up by the fireplace with their laptops. 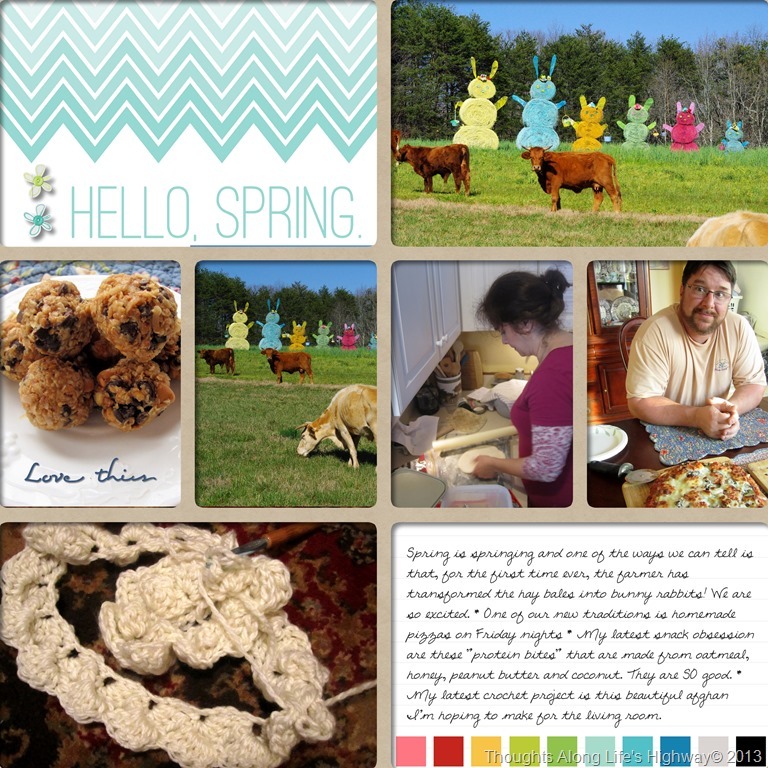 Becky Higgins’ Turquoise kit for this page – kept it simple as the pictures were simple, too. Love my sweet baby’s happy smile about her teacher’s blanket and capturing her sign language performance. 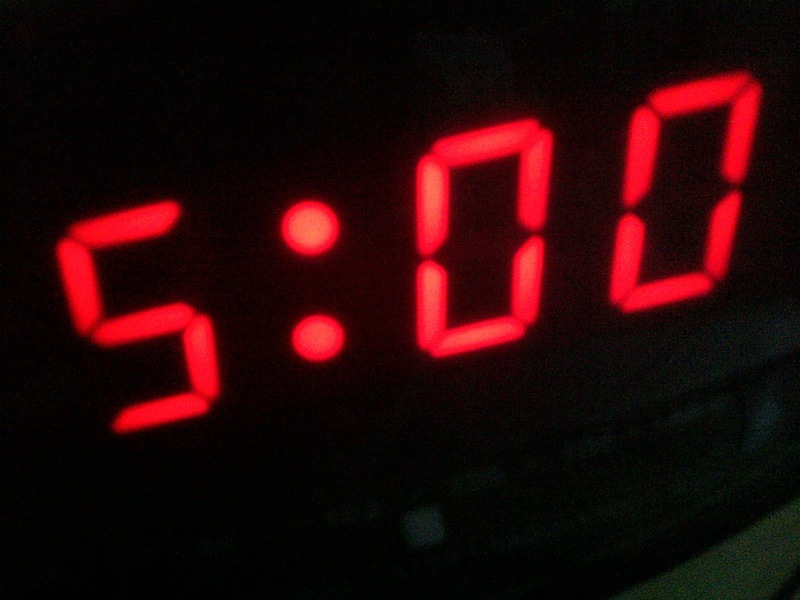 That’s it for my Project Life pages this week – what about yours? Still in catch-up mode, but I’m making progress. Keeping it simple and getting it done. That’s the theme for these pages. Even though they’re simple, I like them. 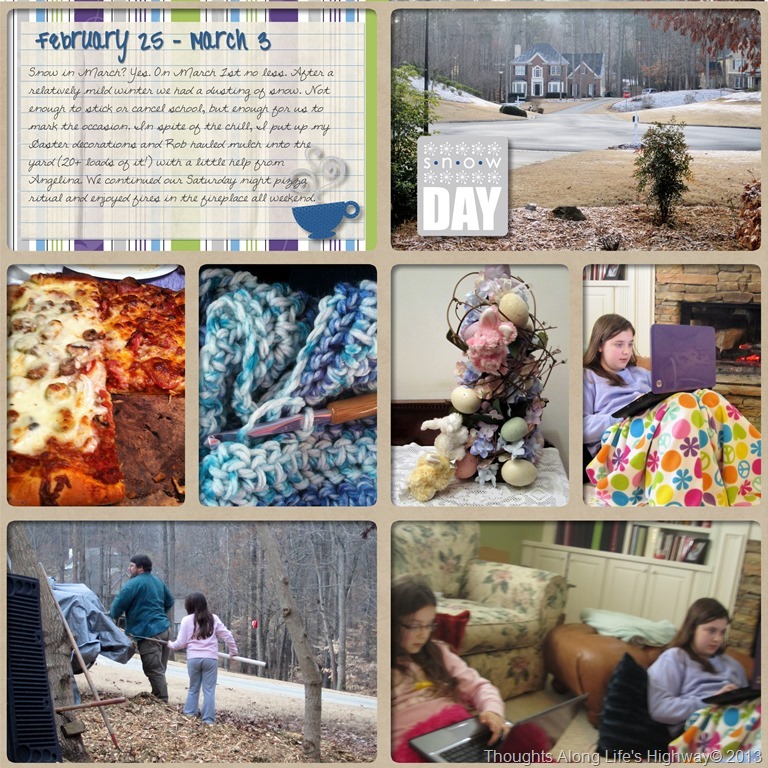 I like the bright pops of color and the way the pictures capture the “everydayness” of those weeks in February. Nothing fancy, but it’s real life. What about you? Any progress in your crafty world?